Hi! 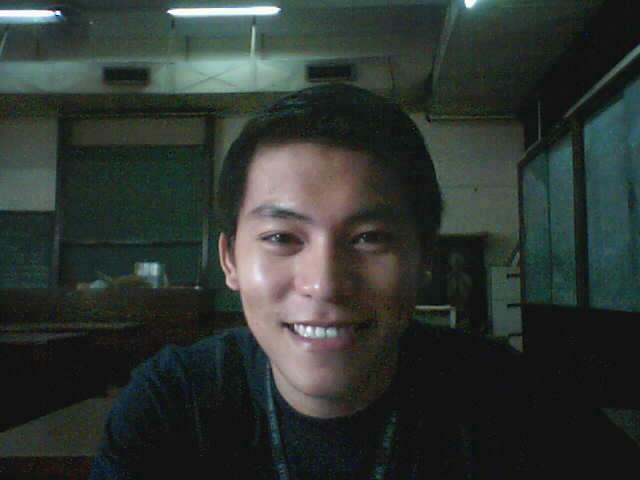 I’m Mr. Niño A. Espinas, a faculty of Biology Unit-Philippine Science High School-Main Campus. Starting April 2009, I’ll be embarking on a new challenge and that’s becoming a postgraduate student at The University of Tokyo, Tokyo, Japan. I’ll work on gene expression using robotic DNA microarray technique focusing on the effects of environmental stresses like an increase in UV rays exposure of plants in a temporal scale. I hope to find a good correlation between plant pigment gene responses to various environmental stresses. The research has a good application in plant-animal communication, behavioral ecology, and in global climate change research. Hello Sir Nino. Teacher din ako, gen.sci pero nag-eespecialize ngayon sa bio ed. I would just want to thank you for posting some of your activities/lectures in your blog. As a non-biology education grad, I found your activities more informative and advanced as compared with the SUC (college students na yun ha) in the province where I taught. I am so intimidated by your interest in very specific disciplines in bio. Well, just like any other bio teacher in the country, we make up for our deficiency in content by making learning fun and exciting. But at the end of the day, the knowledge shared is very superficial. That’s why I am about to take an advance training in bio ed. My interest is about the issues around the use of performance assessment/rubrics in science education and the use of on-line resource for the improvement of science instruction alongside with student performance. (educ na educ). Hehehe, but when I met Dr. Cora of the UP DNA Analysis Lab, I became more interested in molecular bio. Sana matakbuhan kita pag ako’y kinulang sa content. At sana one day, maging isa ka sa mga outstanding young scientists ng Pinas. God bless you!